Look Closely…. What can you see??!! WWWwWwwell well what do we have here… if you look closely… what can you see??!!! Could it be…. our very own Romeo alongside some of the Andis barber images! 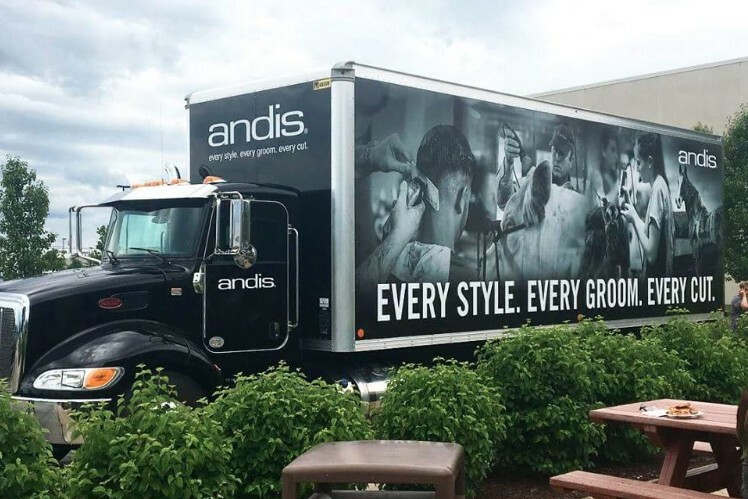 This is the new Andis Truck that has recently been made… So far we have made it into all different types of media… online, in print publications newspapers and TV, but this is definitely a new one for us! Where can it be seen? It is currently cruising along the highways of the United States … ! Super proud right now… Keep your eyes peeled you might spot him cruising along with your latest clipper delivery in the US!